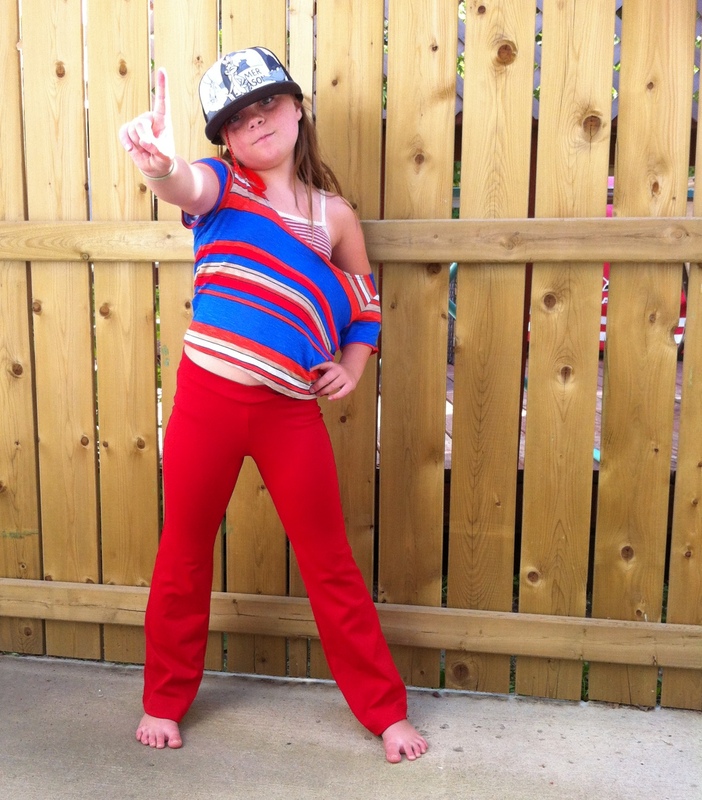 It’s been a dancey-sewing summer around here. Probably inspired by having some fun performances happening, although the vast majority of the sewing wasn’t related to that—it has still been fun to have some exciting new gear to wear to class. And, it’s all knits which are quick and satisfying, which is important for me right now always. 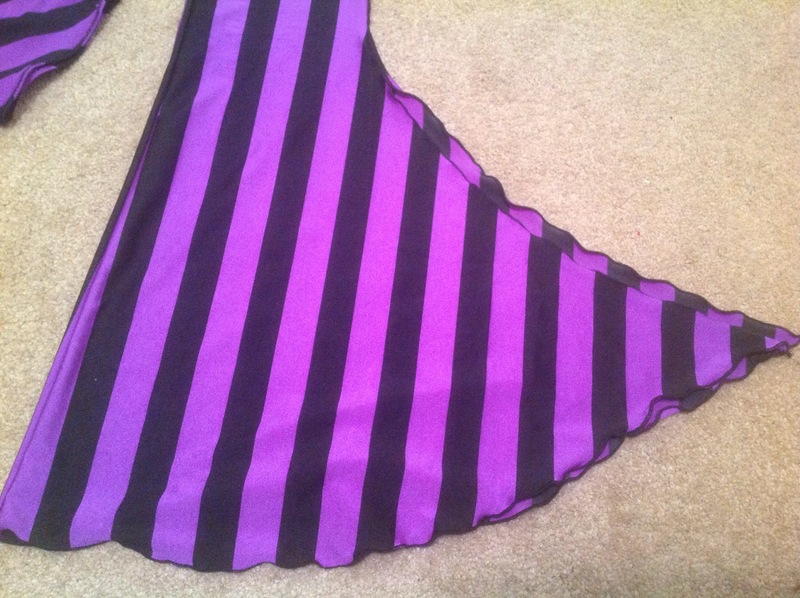 Anyway, one of my sewy friends made the mistake, a few weeks ago, of lamenting over a black & purple striped spandex fabric she’d picked up some ends of a few years ago, and never actually used (her sewing has been rudely interrupted by that whole having-children thing the last few years). And then yesterday, while ogling her stash during a visit, she said if there was anything I wanted to use desperately, just let her know—she’d rather see it used than languish in her basement. Moments later I was cradling two or three metres of gorgeous fabric in my greedy little arms. I did leave her the other end piece (a metre and a half or so) for some future swimsuit. For the pants, I pulled out Jalie 3022 again, plus my add-on swoosh. 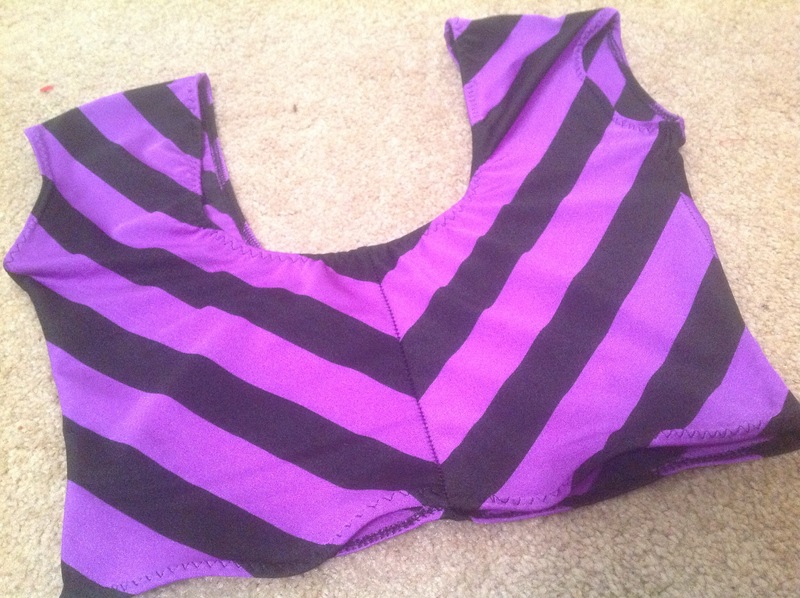 I didn’t want any extra seams in the back to have to match stripes across, though, so I attached the swoosh to the outseam and fudged the two back pieces into one. The back seam is pretty much straight except for a tiny dart incorporated into it at the top—i just shaved an amount equivalent to half the dart off the outseam and centre back seams. Not terribly scientific, but these are knits we’re talking about. Yay, knits. Oh, and after checking that the stretch lengthwise was similar to the stretch widthwise, I decided to run my stripes up the legs of the pants vertically. Less stripe matching to do that way. Also looking cool. 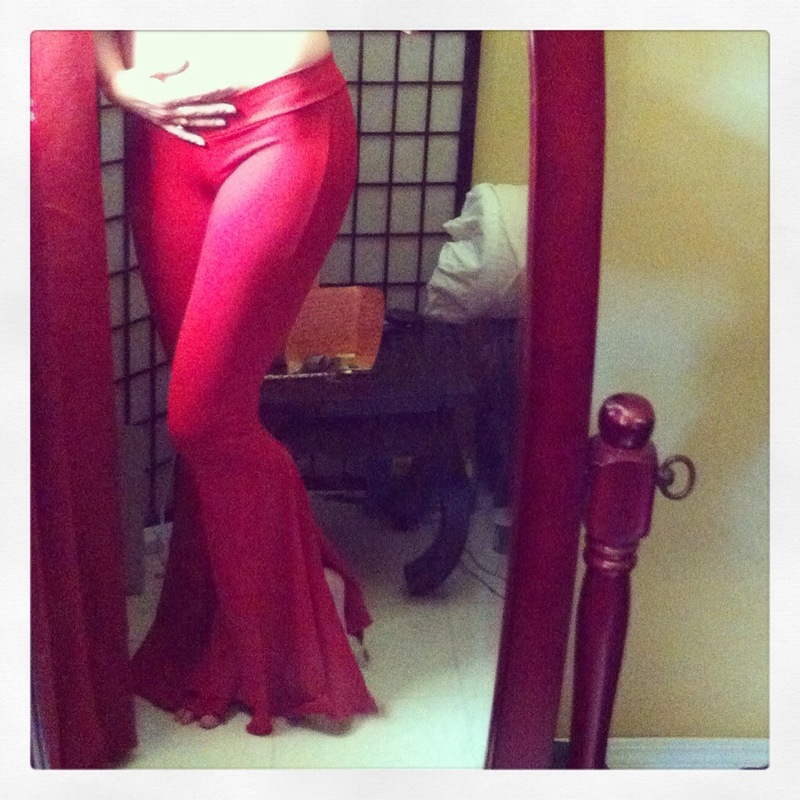 I wanted to add a ruched, fold-over waistband/overskirt thingy, for a bit more interest and because my hips need all the oomph they can get. I got the inspiration for the construction from the mini-skirt on Jalie 2920, but I didn’t actually use that pattern because it’s over at my sister-in-law’s house since the last time I made leggings for little girls. 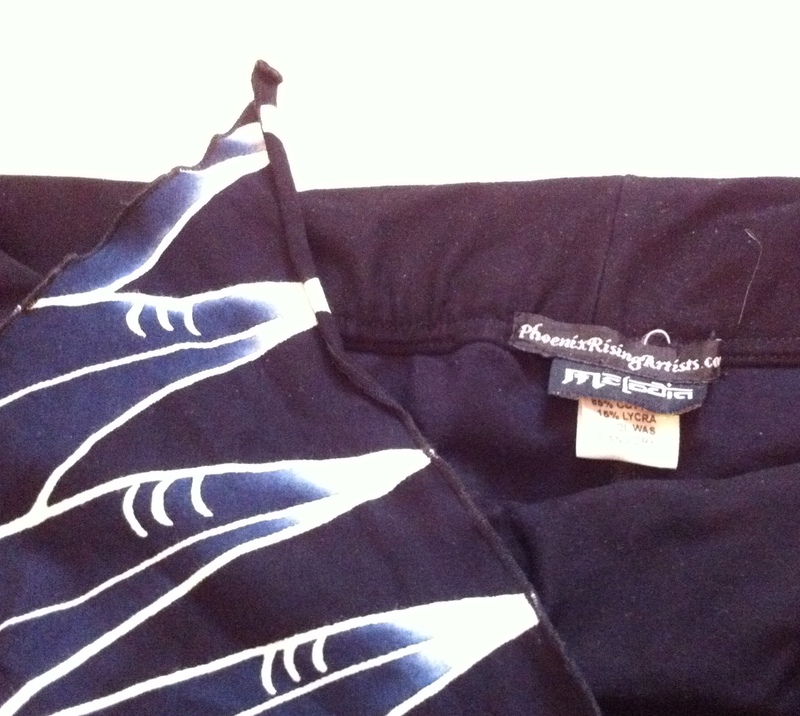 It’s a short skirt with side-seams, mirrored at the hem, so the hem ends up being on the fold. When sewing up the side-seams, I added clear elastiic, stretched as much as I could, so that they would gather themselves up. Then I sandwiched 1.5″ wide elastic between the two layers at the top, and serged the whole thing to the top of the pants. 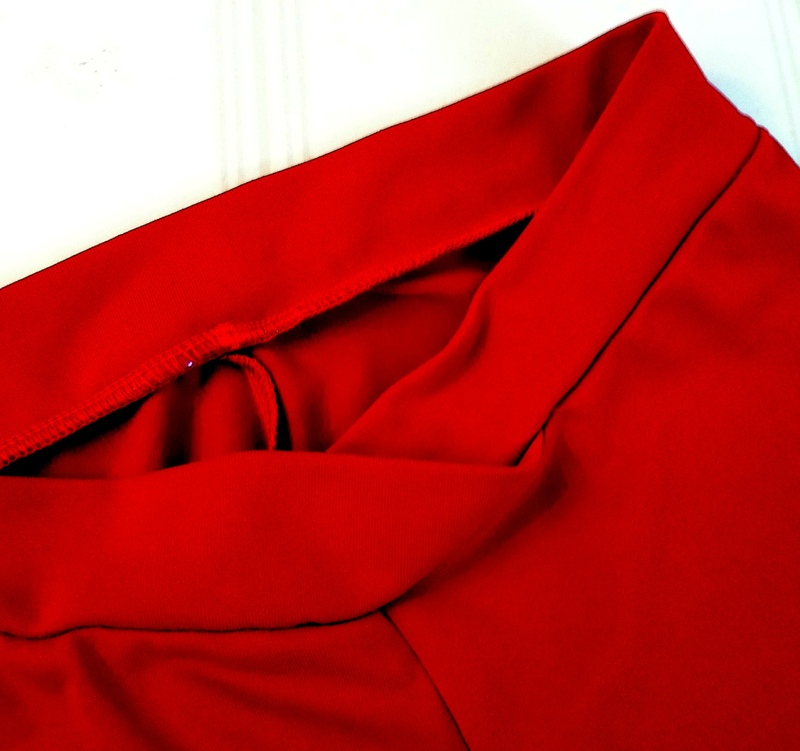 I decided to put the serged seam on the outside, so that it’s covered by the fold-over of the ruched-up “skirt” when you’re wearing it. 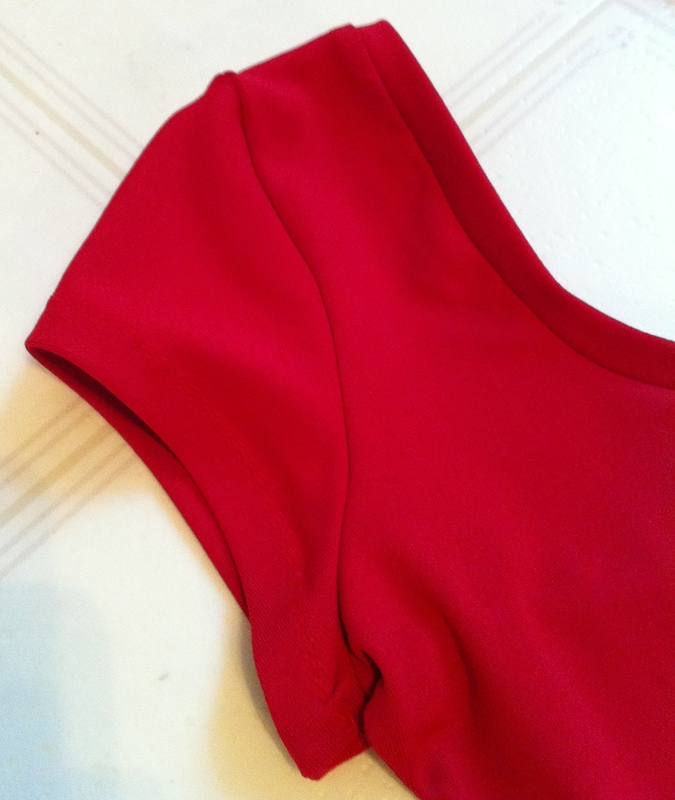 The crop-top is the top of the franken-pattern I put together for my red velvet dress, which is largely Kwik Sew 1288, with a few modifications for fit based on my Nettie, cut on the bias with CB and CF seams to make that fun chevron. Crop top. Looks better on. 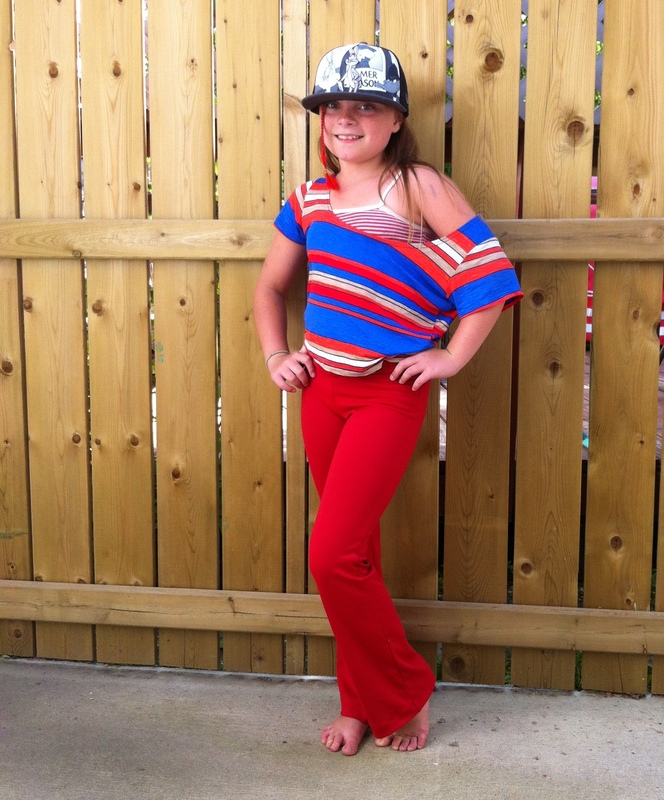 Have you heard of Melodia Designs? No? Where HAVE you been? 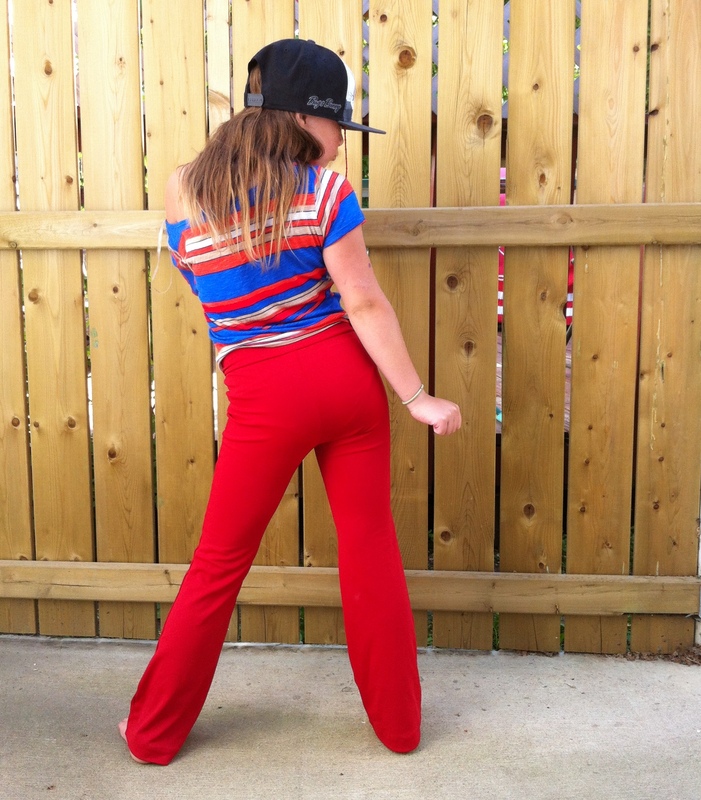 She only makes some the best dance/yoga activewear on the internet, duh. In particular, she pioneered (revolutionized?) 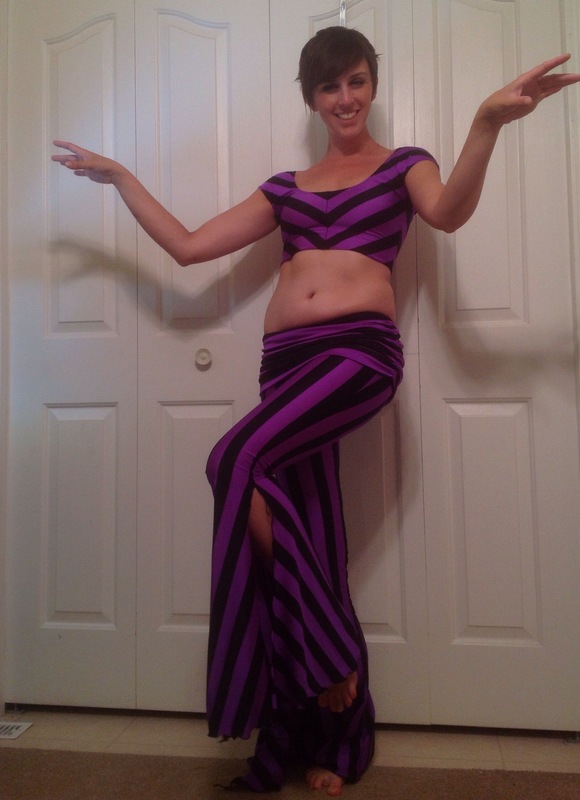 the tribal bellydance wardrobe with her richly flared, side-slit dance pants, which in certain circles are the standard for awesome, high-quality dancewear, for practice or performance. 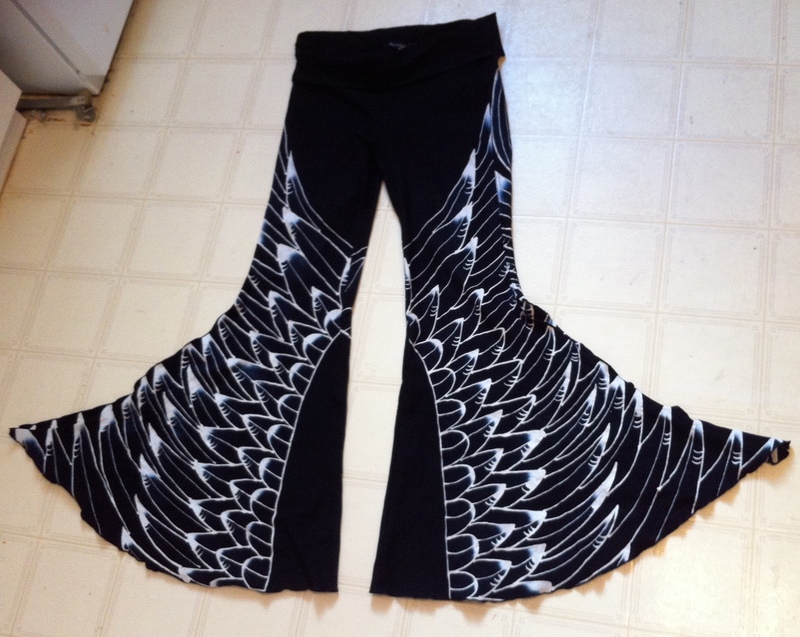 I have a single pair, a style which arose from a collaboration between Melodia Designs and Phoenix Rising (an equally cool dance/yoga/activewear line), Icarus-patterned Melo-Phoenixes. DIVINE. 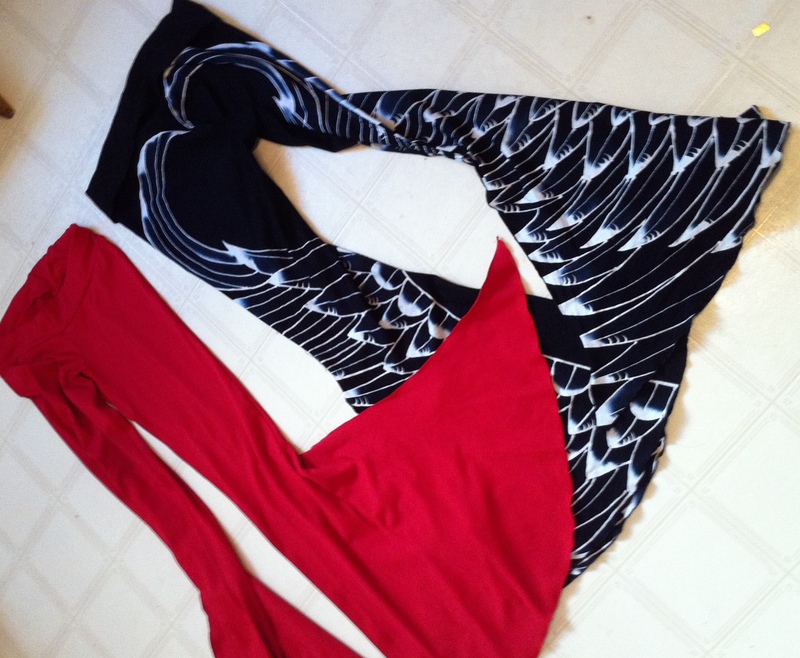 Here’s the current lineup, although it looks like Icarus is still available in their standard yoga-pants style. 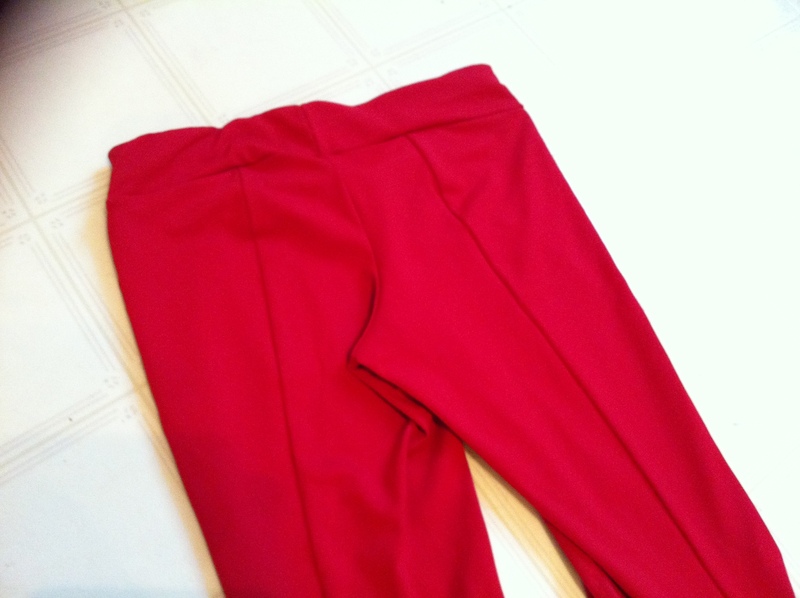 This pair of pants is probably one of my most-prized (and most expensive) possessions. And they are very well-made, with the kinds of materials and workmanship (hello, coverstitch) I can’t nearly match at home. If this kind of gear suits your lifestyle or tickles your fancy, I totally recommend it. In fact, looking at the websites just now I’m feeling all twitchy and consumeristic in a way that I rarely get over cut & sewn fabric these days. I only have one problem—I don’t fall really well within the size vs. length ranges of these pants. For my Melos, I had to size up to a medium to get a 32″ inseam, which is tolerable but doesn’t give the kind of floor-swooshing grace that really knocks ones’ metaphorical socks off (since really, this kind of pants look ridiculous with socks.) And, while not loose, they’re not as form-hugging as they might be. And, well, why would I buy when I can make? Enter Jalie 3022. 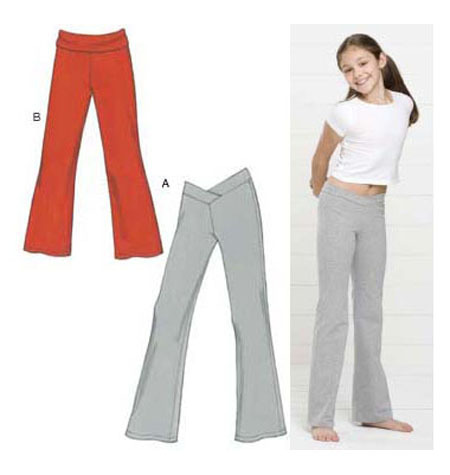 I was probably thinking of this pattern hack as soon as I saw the fun back-seam that makes this otherwise basic yoga-pants pattern unique—don’t ask me why it took three or more years to actually get around to it. 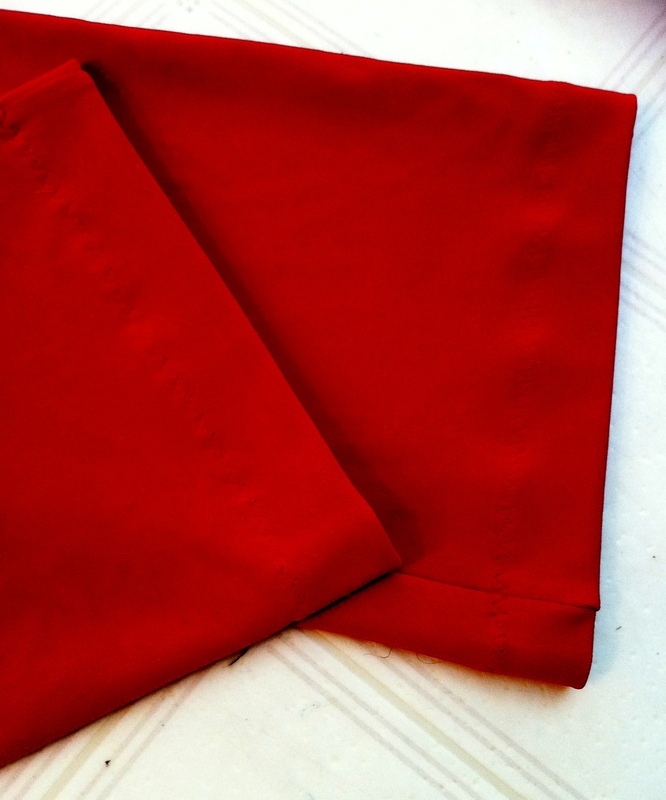 My fabric of choice here is red supplex, a wicking fabric that Fabricland used to carry, long and long ago. I found a single languishing bolt at my local store, and managed to follow it along through the mark-downs until it was finally at a price I could afford, and nabbed the last three metres. 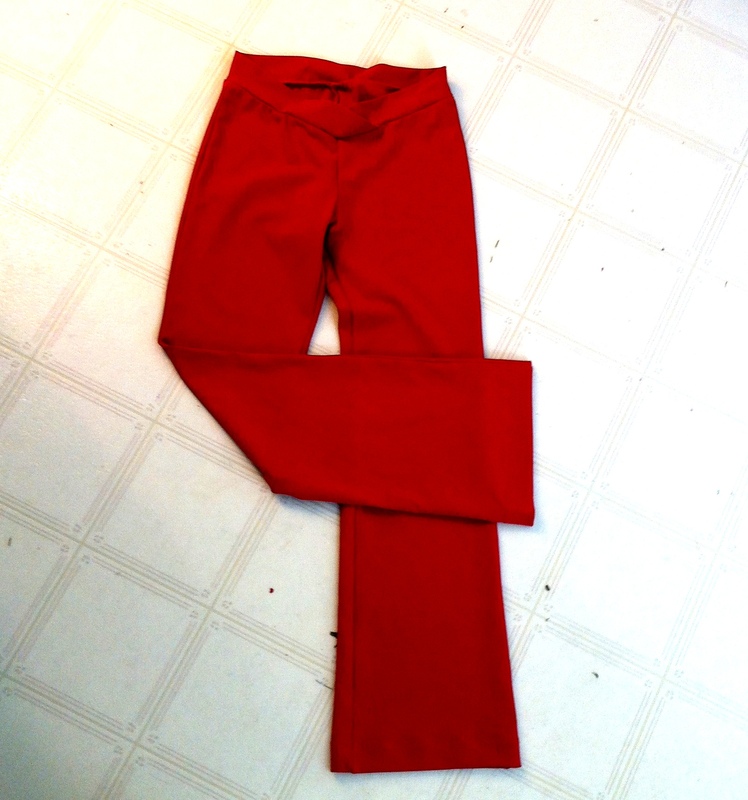 These took about two and a half, which tells you everything you need to know about how much fabric those flares eat up. Nom nom nom. I did all the construction on my spanky new serger, and finished the back slits and the bottoms with a rolled hem, with my differential feed cranked up to lend a bit of a lettuce-y effect; the stretchy, dense fabric doesn’t ruffle overly well, but I think it gives a bit of a hint. The only topstitching I did on this pair was on the inseam, where I used a triple zig-zag, for added strength. 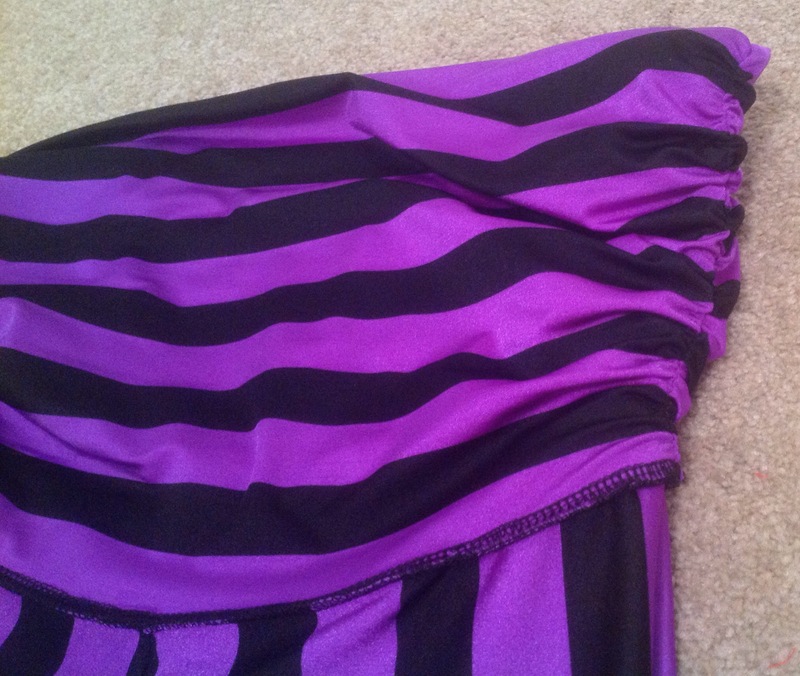 I will probably need to reinforce the seam at the top of the slit, too. 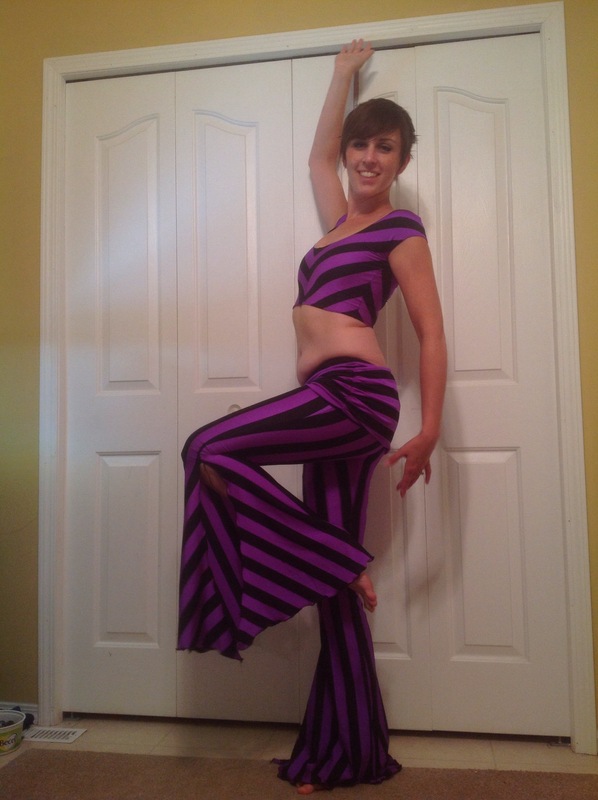 And, of course, what to go with my cute and fun pants, but another Nettie crop top. I haven’t managed to make a fully-fledged bodysuit yet (partly because it’s summer now and not really body-suit weather, so I haven’t felt terribly inclined to try), but I am loving the crop tops for dance practice.